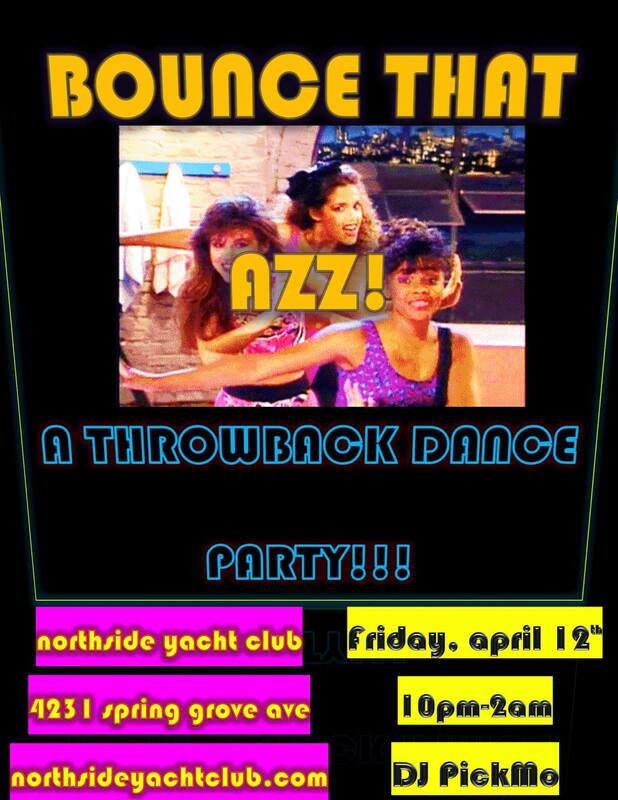 Bounce That AZZ: A Throwback Dance Party! A night of 80s, 90s, and 00’s Pop, Hip Hop, RnB, Dance and Party Anthems! You know you to…with DJ PickMo. NO COVER, some special requests taken and condoms galore! Do it, come have some fun with us!